Put a rug down. It may seem simple, but dressing up the floor plane by adding an outdoor rug that picks up the color of your home or the colors used in the surrounding landscape can transform an OK space into an “oh boy!” space. An outdoor rug works double duty by softening the hardscape and pulling the scene together. As chillier months approach, there’s nothing better than changing up décor to make our homes warmer, cozier and more inviting. 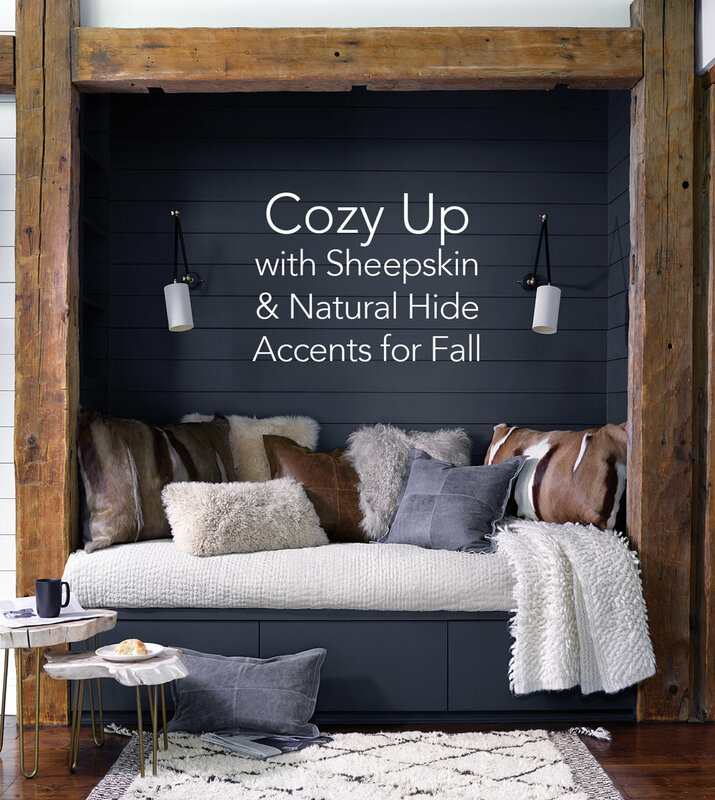 Two of our favorite snuggle-worthy textiles to use this time of year include sheepskin and natural hide .